The iconic station had become a subject of a political row after the BJP-led government in Uttar Pradesh decided to change the name of the station. They chose to rename the station after its ideologue Deen Dayal Upadhyaya. 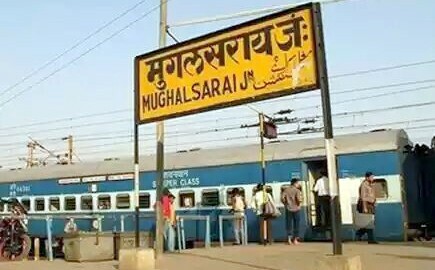 The British-era railway station Mughalsarai in Uttar Pradesh's Chandauli district had officially changed its name last month. The signage at the iconic railway station now reads Deen Dayal Upadhyay Junction, named after the RSS thinker and co-founder of the political party Bharatiya Jana Sangh. Deen Dayal Upadhyay was found dead under mysterious circumstances at the railway station in Mughalsarai in February 1968. The controversy started when the BJP-led government in UP proposed to rename the railway station on Upadhyay's birth anniversary last year. One of the oldest of its kind in the country opened in 1862, the railway station in Mughalsarai is located a short distance from the historic city of Varanasi. "In the days of the Raj, Mughalsarai was one of the most important stations on the East Indian Railways trunk route, coming as it did about halfway between Howrah in the east and Delhi in the north," Mark Tully, a British Indian veteran journalist was once quoted as saying by BBC. The station became a subject of a political row after the Bharatiya Janata Party in Uttar Pradesh decided to change the name of the station. However, this proposal dealt with severe backlash from the opposition parties that claimed that the ruling party was distorting history and attempting to saffronize the nation. Locals around Mughalsarai too believe that changing the name of the station is not right. "It's never a good idea to change history. For us, Mughalsarai will always be Mughalsarai. There are other ways to honor great people than changing names of iconic places," Mohamed Akram, the cleaner at the railway station was quoted as saying by BBC. The railway station is a major landmark and transit point for commute between UP, Bihar, Jharkhand and Chhattisgarh. And even though BJP has decided to rename the iconic location, many are of the opinion that it will continue to be known as Mughalsarai to the people around.